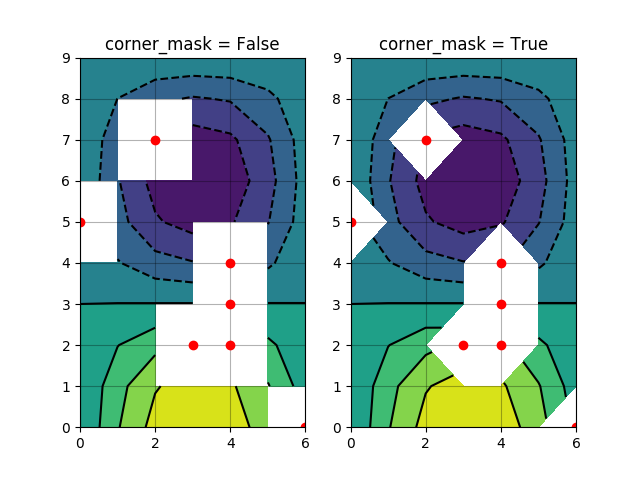 Illustrate the difference between corner_mask=False and corner_mask=True for masked contour plots. # Mask various z values. # Indicate masked points with red circles.